Our collection of world-class facial treatments combine the finest natural ingredients with proven techniques to help you put your best face forward! The basic regimen for healthy skin which provides cleansing, purifying, rehydrating, and relaxation treatments. Or try our yummy Eminence Radiance Resurfacing Seasonal Facial! Click here! Help promote healthy skin and positive skincare habits with this therapeutic treatment designed especially for youthful skin. This facial will clear up problem areas and help prevent recurring problems through education and home care recommendations. An excellent confidence booster – Best booked as a series of 6. Fellas – Put your best face forward following this facial regimen designed just for you. We will clean, exfoliate, purify, and rehydrate your face and neck and provide some stress-relieving massage to scalp, face, neck, and shoulders. Combining the most innovative and powerful skincare products and technologies, the Superfruit Facial is a revolutionary service designed to revitalize the skin. Created with a power packed combination of the Gregorie’s Signature Line, the treatment features the latest breakthroughs in anti-aging including: Microderm exfoliation cream, Botanical Peptides, firming Lip Treatment Cream, collagen stimulating Eye Treatment Cream, an Antioxidant mask of Acai, Gogi Berry, Noni, and Pomegranate, Instant line filler and a finish of tinted moisturizer with sunscreen. A soothing hand and foot massage adds to the complete rejuvenation. Top off the Superfruit Facial and increase results with NuFACE*, a cutting-edge boost of micro-currents to instantly tone and lift the facial muscles. You won’t believe your eyes! This award-winning treatment helps to dramatically reduce the appearance of broken capillaries and soothes irritated skin. Specially formulated from plant and marine extracts, it will calm and soften even the most sensitive skin. Excellent for delicate skin and sunburns. An excellent regimen for any skin type and especially those prone to oiliness and breakout, this treatment thoroughly frees blocked pores, rebalances sebum production, and reduces breakouts and shine on the skin. Milder than the Acne Facial. Essential to restore and maintain the skin’s moisture level so often deficient in dry complexions. Relieves uncomfortable tautness as fine lines and wrinkles are diminished. Fassage Pampering begins with a full-body massage and ends with a luxurious express facial which offers a regimen for healthy skin that provides cleansing, purifying, and rehydrating. Imagine continuous relaxation delivered by a therapist licensed in both massage and aesthetics to relieve tired muscles and revive tired skin. This results-oriented treatment is the ultimate in skin rejuvenation. It includes a hot cinnamon peel and two enzyme masques which help draw out impurities and maximize the skins elasticity. This treatment is referred to as the Rolls Royce of facials due to the fundamental improvement it produces in the health of the skin. Illuminate your skin and show off a youthful glow! This brightening facial from Arcona addresses uneven pigmentation and fine lines, improves skin clarity and smoothness, and is effective for all skin types. The secret of some of Hollywood’s most beautiful and famous faces, this treatment uses a combination of enzymes, Kojic Acid, Lactic Acid, Vitamin C and other powerful, all-natural ingredients to exfoliate, refine and brighten the skin. Your facial experience will also include a hand and foot massage. Arcona’s exclusive acne facial is tailored specially for those with congestion and breakouts, whether it is teens or adults. This results-oriented treatment will clear the skin with potent Salicylic Acid, the best ingredient to treat acne and blackheads. It is excellent for healing inflammation and rebuilding the pore wall, resulting in a balanced, refined complexion. After this effective treatment, you will leave with skin that is smoother, less inflamed and clear without redness or irritation! Experience this amazing enzyme rejuvenation treatment sought out by such stars as Julia Roberts, Sarah Jessica Parker, Heather Graham, Sigourney Weaver, Madonna, and many more! This Enzyme Peel provides excellent cellular renewal for sun damaged, aged and dull looking skin. This activating yet soothing treatment cleanses and restores your skin to its natural and beautiful balance. Organic fruit enzymes dissolve dead skin and cleanse pores, thereby stimulating the dermis to manufacture more collagen and elastin. Regular Organic Enzyme Peels continue to help your body to produce new, strong, healthier and younger looking skin, without the harsh side affects of a chemical peel. Experience the Arcona Glow. The results are cumulative, as improvements increase over a series of treatments. Best as a series of 6. Our exclusive Arcona Rejuvenation Deluxe is the most luxurious, pampering facial treatment for your face and neck. The Arcona line of skincare is utilized to cleanse, tone, and hydrate your skin. This treatment also incorporates Arcona’s signature aromatic and organic Enzyme Peel, a Firming & Toning Lift Mask, special Hydrating Mask, and Firming Skin Treatment giving you the most radiant, plump, youthful skin of your life. You’ll enjoy a soothing foot massage while these special masks rejuvenate your skin. Look beautiful and be absolutely glowing. Sublime pampering and a complete transformation for the skin and renewal of your spirit. 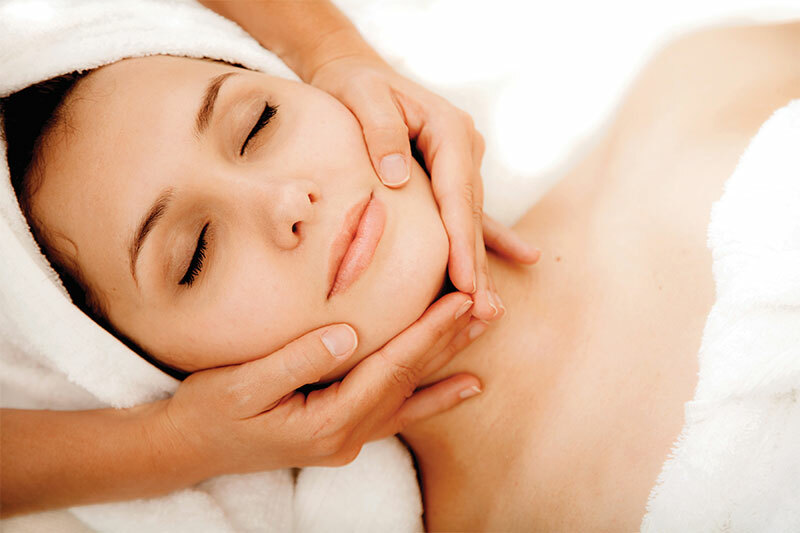 Our Organic facial from Eminence will lift and firm skin naturally and instantly! The Bamboo Age Corrective Masque and Bamboo Firming Fluid can increase collagen production by 25% and the Monoi Age Corrective Night Cream for Face & Neck and the Lavender Age Corrective Night Cream can decrease wrinkle depth by 26%. This facial treatment addresses the hormonal changes that naturally accompany pregnancy. Most moms-to-be experience some change in their skin whether it be breakouts or sensitivity, blotchiness, or just unusual reactions. These issues and more are all addressed in this facial designed especially for expectant moms! Eradicate the ravages of time with this breakthrough, cosmetic skin resurfacing system. Microdermabrasion can minimize or eliminate fine lines, enlarged pores, scars, sun damage, acne, and hyperpigmentation. Learn more about our Microdermabrasion treatments. Epicurabrasion is a supercharged combination of Microdermabrasion and the famous Epicuren Enzyme Mask for improved rejuvenating results. Microdermabrasion is a skin resurfacing treatment designed to reduce fine lines, shrink pores, and lighten hyperpigmentation and scars. Combined with the Epicuren Enzyme Peel, skin heals faster, more evenly, and with the toning & tightening effects of the Epicuren treatment. Where did those wrinkles go? You won’t believe your eyes as you see fine lines and crows feet immensely reduced from the eye area! An absolute must for gala events and school reunions! $25 *May be booked as an add-on to any facial. Gregorie’s is a facilities management company serving health and wellness professionals and their clients. © 2019. Gregorie's - All Rights Reserved.